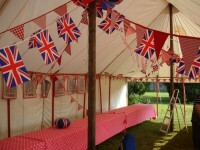 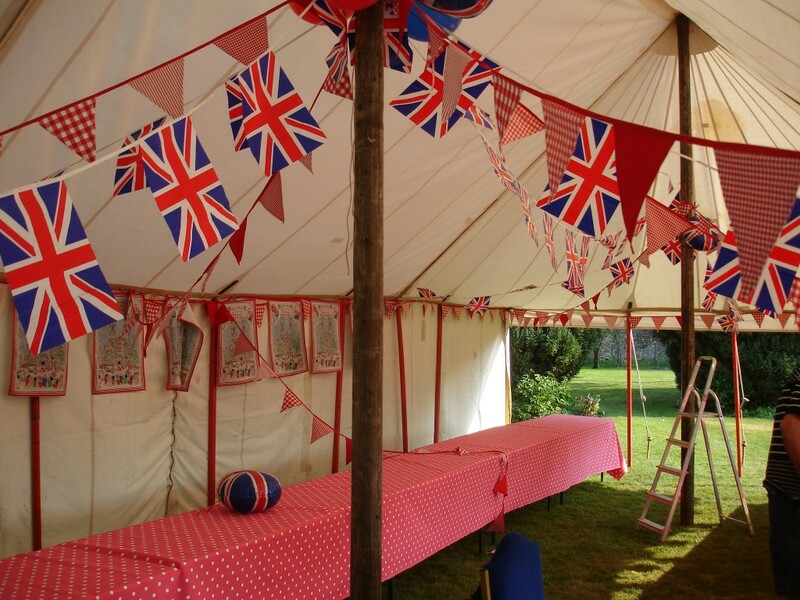 The Vicarage Lawn Marquee is a wonderful old fashioned white canvas marquee, measuring 40′ x 20′. 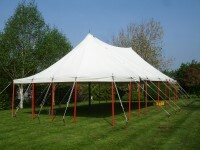 It has 6”6″ walls (some of which have seen better days) which can be removed in sections, or the canopy can be used on its own for shade or weather protection if preferred. This is a classic marquee which has probably seen a generation’s use already – forget the spotless modern impersonal Big White Bricks, this big tent oozes style and personality with its heavy canvas and red side poles and neatly staked guy ropes, and it smells glorious! 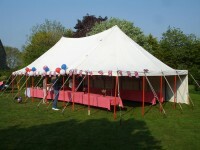 Used for a Royal Wedding Party it very easily accommodated 70+ people sitting down for lunch, and for a cocktail party it would allow about 100 to stand.